Thanksgiving was celebrated recently in Canada, but it’s yet to be celebrated in the United States, so I still have time to share some crafty ideas for it. We don’t celebrate Thanksgiving where I leave, but we used to do some abundant and fun dinners at the american school where I studied… Good old days! 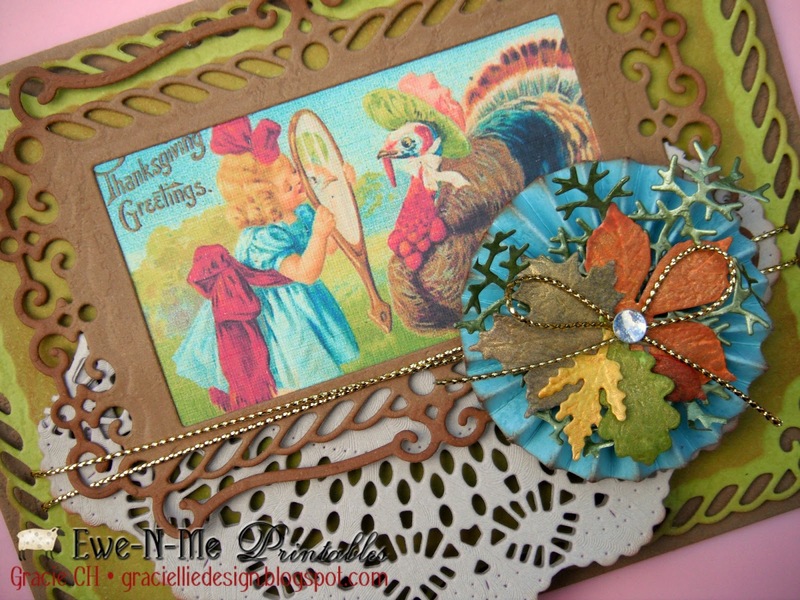 Today I have a card I made using a cute vintage collage from Ewe-N-Me Printables called Collage Sheet – Thanksgiving 102. 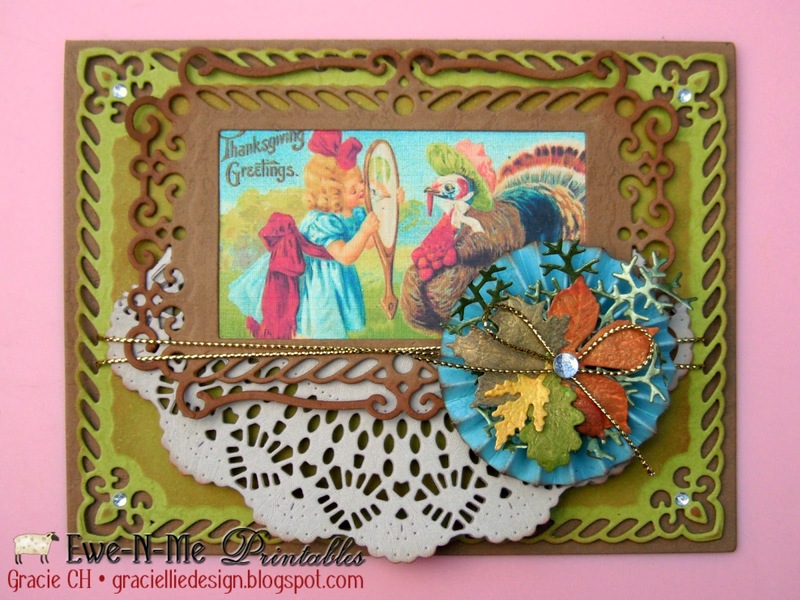 I used the image of the girl holding a mirror for the turkey that simply blew my mind… How adorable and vintage is that image! I made a card with lots and lots of layers and though this is a Fall card the color palette is very different. 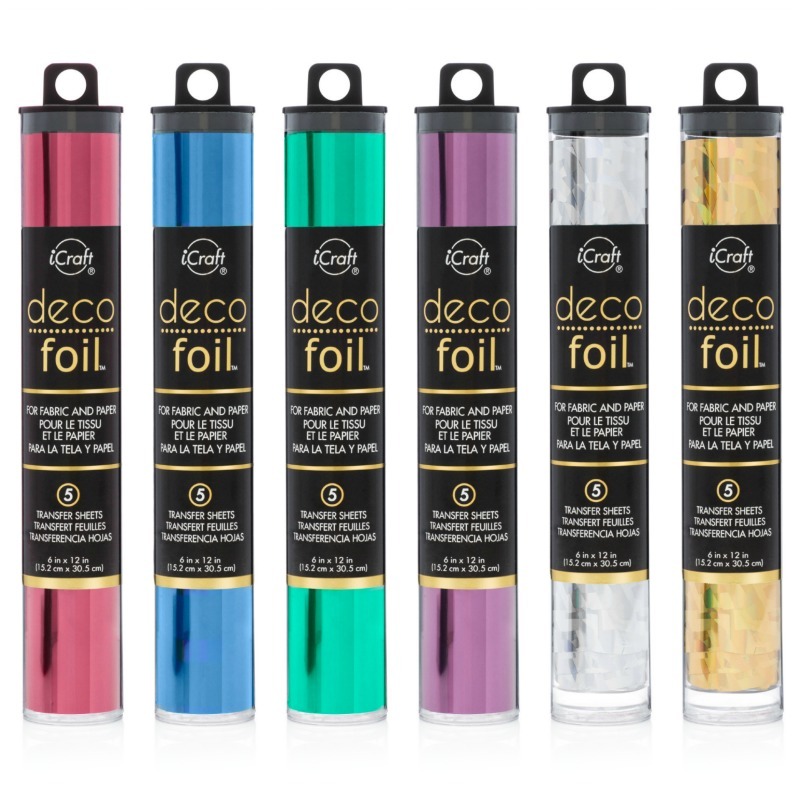 I picked the colors on the image for my card’s color combination. I framed the image and made it the focal point of the card. I added a rosette, embellished with Fall leaves I die cut, colored with pigment and distress inks, and with Inkagold in yellow gold, to give them a nice shimmer. Other elements added were a die cut doily folded in half, gold cording and some crystals. 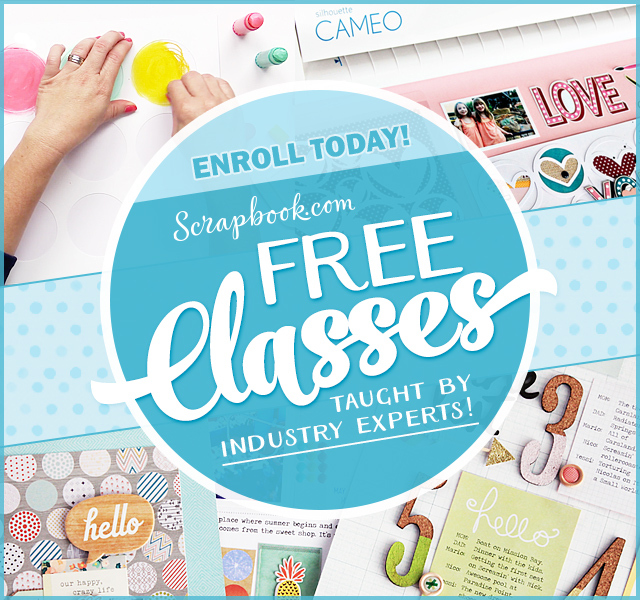 I hope you enjoyed seeing my card and if you need to make some cards I highly suggest you visit Ewe-N-Me Printables’ store, because they have lots and lots of beautiful files for you. Thanks so much for stopping by! I’ll be back in a bit with a new card for you, so stay tuned. SOOOOOOO sweet creation, Love this vintage feel creation! Beautiful card, Gracie. Love that image.